This year the other half and I were invited along to the Edinburgh Foodies Festival, and what a brilliant day we had. 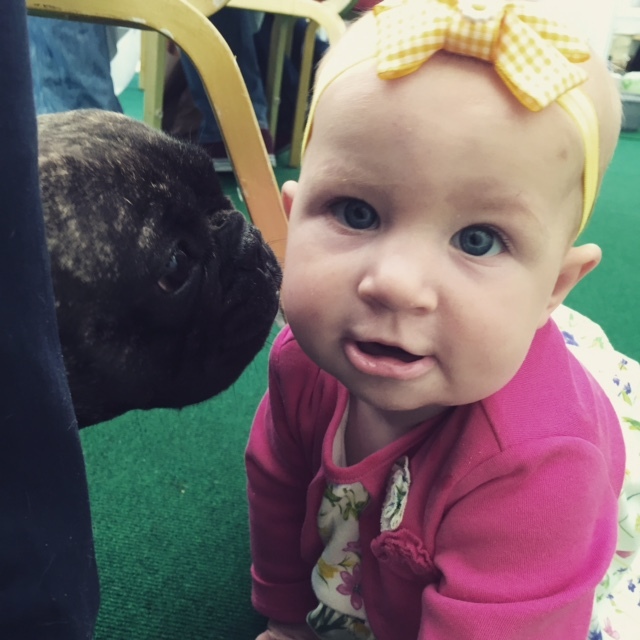 The sun was shining, people were happy, chatty and smiling and everyone loved baby Harlow and Tulli the French Bulldog! It was the perfect day out for us. Logan stayed at his granny's house though as it's not really his cup of tea but he had plenty of fun going to play parks and to visit his great granny Hannah on the bus. Having a great day out! The Foodies Festival is basically a mass gathering of all the tasty food and drink you could want all in the one place. If you're passionate about the finer things in life then this festival is definitely for you. It happens every year when the Edinburgh Festival starts in August and this year it's being held from 7th-9th August at Inverleith Park. It's child and dog friendly so feel free to bring the family along. 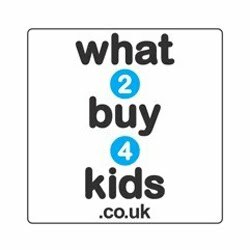 Children under 12 go free when accompanied by an adult. Dogs are to be kept on a short lead but as long as they're not diving at people for their grub I'm sure they'll be fine. 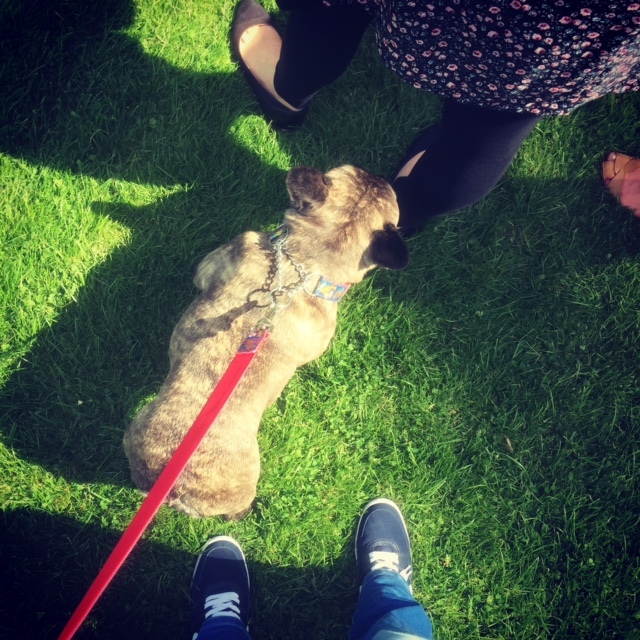 In fact the other half and I saw quite a few dogs from tiny Chihuahua's to a massive Saint Bernard, and our own dog (Tulli the French Bulldog) was shown a lot of love at the festival. One lady bumped into us at least 4 or 5 times just to get close to Tulli, haha! Tulli waiting patiently to get her ticket. Anyway the Foodies Festival is fabulous with lots of stalls giving away tons of tasty free samples from shortbread, fudge and chutney to gin, liqueurs and ciders. As well as the free samples you can also buy most of the products you can taste. The other half and I came home with a bounty of yummy treats from our day out so you won't be disappointed. Goodies we bought from the Festival. 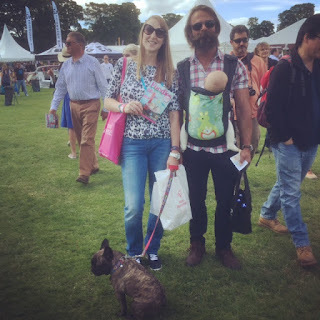 We were lucky enough to receive tickets to the VIP tent where you can sit and chill with a glass of free bubbly as well as receiving a lovely little goody bag and getting dibs on some of the shows available to watch. There's a few different tents dotted around where you can watch chefs preparing delicious dishes, have some beer tasting sessions or if you're like me and like to try something a bit different then you can always go along to the talk about Beekeeping with Brian Pool. It was a great and interesting talk, Brian is a lovely man and knows so much about bees, the other half and I found it really insightful. Breastfeeding & watching Brian Pool's Beekeeping talk. All in all we had a lovely day and spent from 11.30am to 3.30pm travelling round to have a look and see at all the scrummy food and drink on offer. We could have stayed longer as there was plenty to see but we needed to get back home to pick up our other dog from the vets. The other half not sure which shortbread to choose. Too much choice! 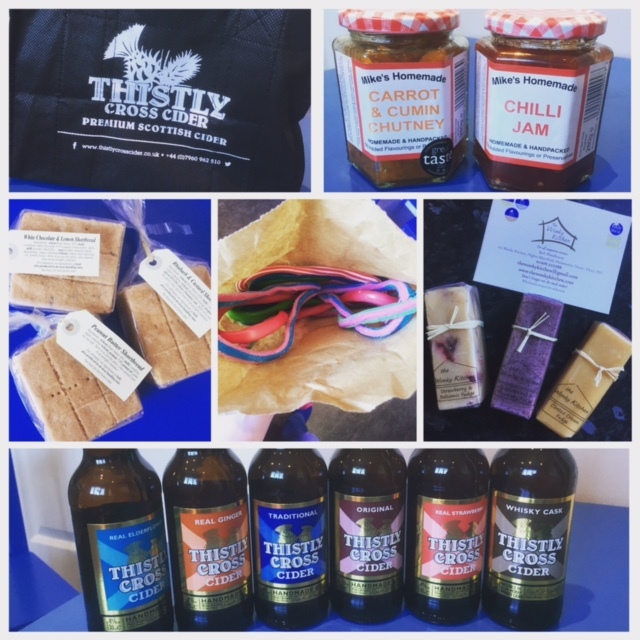 So if you haven't made any plans for this weekend yet then get yourself down to the Foodies Festival at Inverleith Park, Edinburgh. 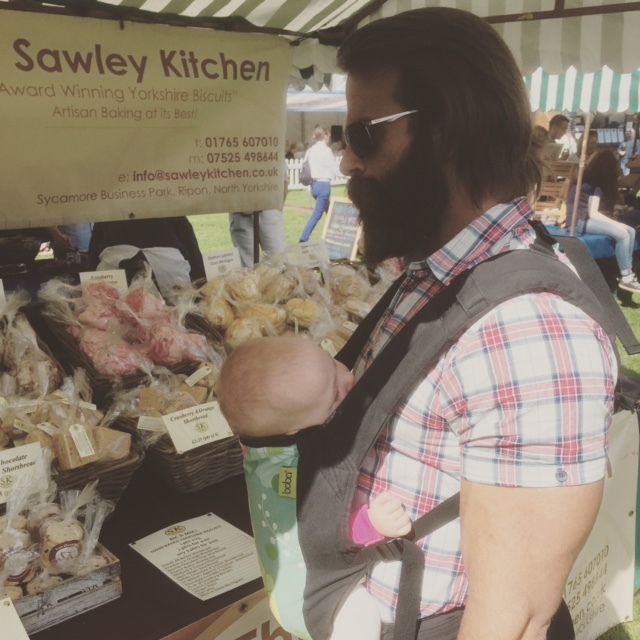 You can buy tickets there at the door or online and collect when you get there (2 for £14 if you quote FOODIESFEST). The festival opens at 10am tomorrow and Sunday. Have fun! Harlow & Tulli enjoying the VIP Tent. The other half and I were given VIP tickets to attend this event. All opinions are my own and completely honest. 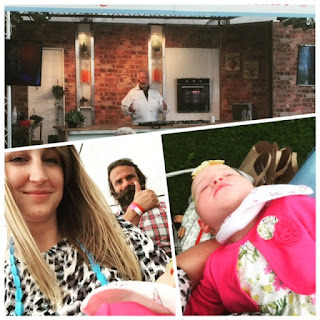 0 comments on "Edinburgh Foodies Festival 2015"